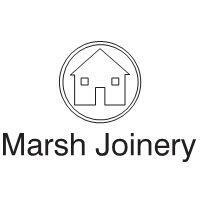 Marsh Joinery Limited - Bathrooms, Bedrooms, Carpenter, Kitchens based in Shipley, West Yorkshire. Established in 2002 by Steve Marsh to service the Bradford and West Yorkshire areas for all their carpentry, joinery, maintenance and refurbishment needs. With over 30 years in the building trade. We can offer a full design and construction service with a personal approach. We are dedicated to providing an outstanding level of service and quality of finish, and also to turn your requirements into reality in a specified realistic time frame. We’re a small family run business. We are ‘hands on’. This means we know what’s going on! There are no executive chiefs! Or head office persons not checking this or not ordering that. We are normal working people who can work with you and can work with a smile! Yes we have public liability insurance and a copy of our insurance certification is available on request. We carry a £2 million pound claim level that we hope we do not need to claim on! We hope that our small committed team might appeal to you. If you prefer a large franchised company or a huge company handling your project, then we are not for you! When we come to your home and evaluate your project you could then judge for yourself! We feel that your home is a very personnel environment. Our view is like most other small family businesses, in that you should only offer a service that you would be happy to purchase from somebody else. You won’t need to ring up a head office to see how your project is progressing, or to change any of your ideas just knock on the garage door and have a chat! Here at Marsh Joinery Ltd we also carry out work in kitchens and bathrooms Take a look at our gallery to see examples of our work in these areas. Bradford, Bingley, Wakefield, Shipley, Leeds, Keighley, Skipton, West Yorkshire.